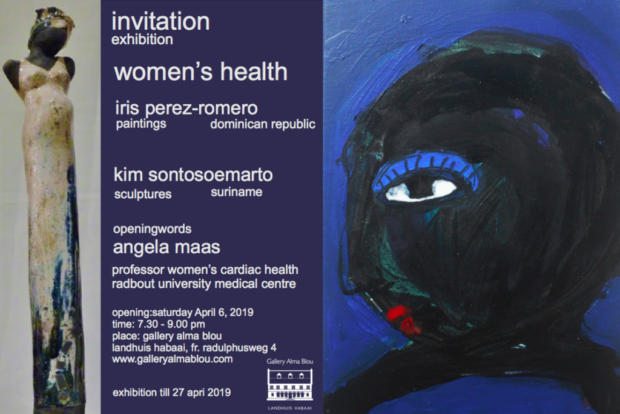 Gallery Alma Blou, Curaçao, would like to invite you to our Opening Exhibition regarding the Women’s Health Caribbean Conference. With this exhibition we pay tribute to women, and bring forward all aspects of women’s strength and beauty, through the works of artists Iris Perez-Romero and Kim Sontosoemarto. Additionally, the exhibition will be opened with a poetry session held by Ms. Daphne Obispo and a speech by Professor Angela Maas. Don’t miss out on this lovely evening, filled with radiating female energy! 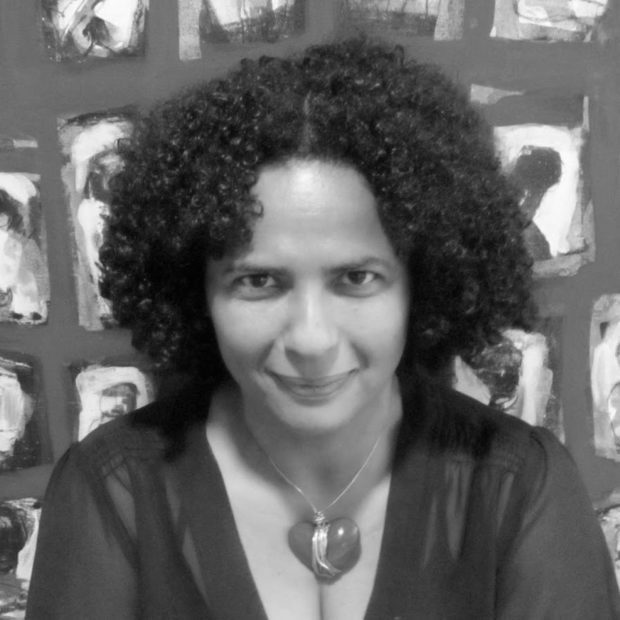 Iris Perez-Romero was born in Santo Domingo, Dominican Republic. She studied Art at the National school of Fine Arts and at the Autonomous University of Santo Domingo (UASD). Since the exhibition she presented in Fine Arts in 1999, she has been standing out because of her very personal way of expressing herself, offering works that are rich, abundant and engaged. If we mention her engagement as a fundamental aspect of her art, it is because Iris Perez has committed herself to the defense of the human condition and to the condition of abused and exploited women in particular. It is necessary to mention that the artist has never lost track of her psychological and social objectives and continues to express herself in total liberty, without ever abandoning authenticity, innocence and the freshness of the soul. Her art is about evolution towards simplification and shows agile transformation in her clumsy sketches and paintings created with childlike ingeniousness. Kim Sontosoemarto is of Javanese descent and was born and raised in Surinam. She is an autodidact and is predominantly inspired by the great variety of cultures that are present in Suriname. 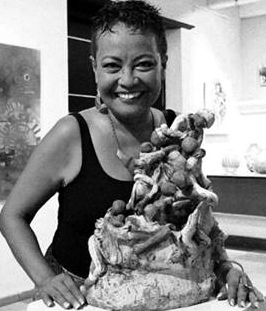 She started painting in the early 1980’s, when she moved to the Netherlands, but it was only when she returned to Suriname 20 years later, that she started experimenting with ceramics. It was then that she discovered the Raku firing technique – a primitive firing technique that gives her pieces their very distinct characteristics. She has ever since been developing herself as an artist, creating, among other things, astonishing sculptures inspired by Surinam’s “Saramaka” maroon women. These women, the pillars of the family, who carry weight with unparalleled grace, are very accurately depicted in Sontosoemarto’s sculptures, with their specific built, strong back and neck muscles and loose hips – a true expression of feminine strength. This will be Kim’s 3rd exhibition at Gallery Alma Blou.